Whether your goal is to improve your skin health, reduce fine lines and wrinkles, sculpt your body by removing stubborn pockets of fat, or simply to look less tired, our multi-award winning, surgeon-led clinic has a customised treatment plan for you. “Prior to my current focus of aesthetic medicine, my 14-year surgical career encompassed a broad range of clinical specialties. During this time I trained in plastic surgery for 7 years mainly covering reconstructive burn surgery and skin cancer reconstruction. This led me to develop an interest in scar management and an ideal aesthetic outcome which resonates in my work in aesthetic medicine today. I’m proud to hold the prestigious title of “Local Country Ambassador” (LCA) for Allergan, the manufacturers of BOTOX® and the Juvederm® Ultra range of fillers. As 1 of only 9 UK surgeons and doctors selected as an LCA, I regularly train and mentor other health care professionals in non-surgical cosmetic rejuvenation treatments and injection techniques and I am actively involved in training programmes both within the UK as well as internationally. In February 2018 I was honoured to be chosen by world renowned Brazilian plastic surgeon Dr Mauricio de Maio as one of his top 50 global injectors at the Allergan International Expert Summit in Berlin. Aesthetic medicine continues to evolve at pace, with newer, less invasive technologies and treatments. I place a strong emphasis on my own knowledge and skills so I can continue to develop my practice and patient outcomes. All the S-Thetics team are personally trained by Miss Balaratnam to the highest standards. At S-Thetics, we believe the fundamental basis of a successful aesthetic procedure or skincare treatment is a good quality consultation with a skilled, qualified practitioner who fully understands your needs, and looks at your treatment as a journey, not a one-off event. During your in-depth discussion with Miss Balaratnam you have the opportunity to highlight any areas concerning you, whether these are skin conditions such as acne, pigmentation or rosacea, or worries about the signs of ageing and skin rejuvenation. Your skin will then be analysed by a state-of-the-art 3D digital skin imaging system called VISIA, which looks at all the layers of your skin and develop a detailed complexion analysis. This includes eight key skin features, including elements that are invisible to the naked eye such as UV damage, pigmentation and wrinkle depth. Miss Balaratnam then uses these results to customise your individual tailor-made skin regime, with recommendations for potential treatments to improve your skin health and effectively target areas of concern. Consultations for general skin analysis skin conditioning and non-surgical treatments will be handled by our expert medical aesthetic practitioner, who has a high level of experience and specialist training from Miss Balaratnam to deliver these treatments. 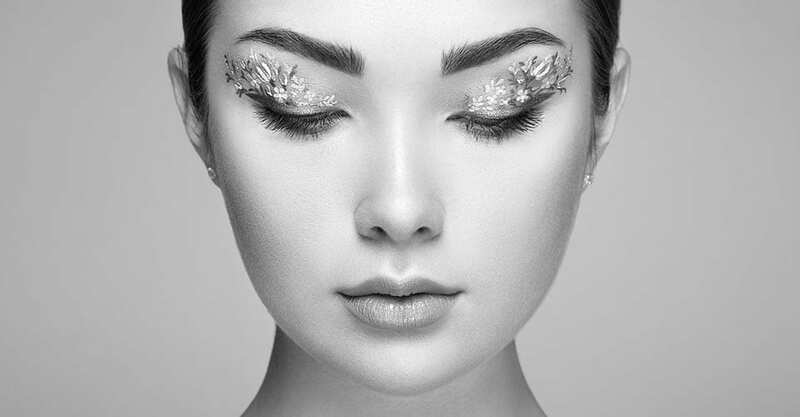 Once your skin health has been established you may wish to take things to the next level, which is where Miss Balaratnam will then provide expert consultations for more advanced treatments and all non-surgical procedures. If this is your first visit, we will take your medical history and any current health issues, as well as details of any allergies you have and medications you are taking. 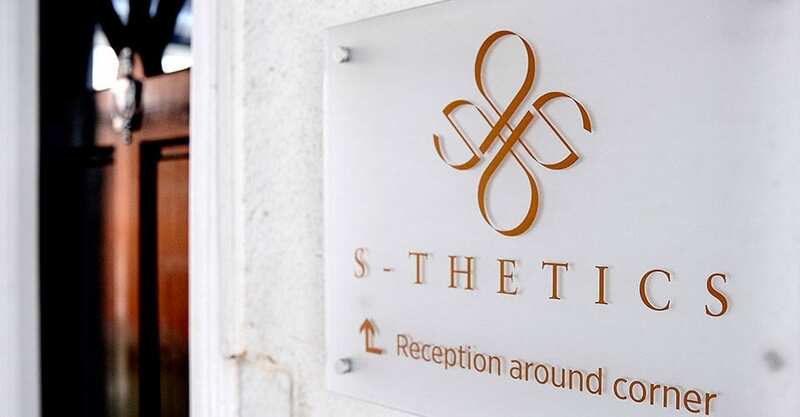 All treatments take place in the fully-equipped treatment suites of the S-Thetics Beaconsfield Clinic. For laser, tightening or cosmetic injectable treatments you will be encouraged to take a two-week ‘cooling off’ period before deciding to proceed. This recommendation is best practice within the cosmetic surgery industry and allows you to take time for yourself to decide if the recommended procedures are right for you. However, if you are happy to proceed with your treatments ahead of this two-week timeslot, you will be asked to sign a consent form to acknowledge that you have not been placed under any pressure to agree to treatment. Aftercare is an integral part of your experience at S-Thetics. Depending on your chosen treatment, you will usually receive a follow-up call or appointment to check the results and make fine adjustments if necessary. Miss Balaratnam and her team are always available to call should you have any questions following your treatment. We are only able to offer consultations to those aged 18 years and over. Consultations include a detailed skin analysis using VISIA technology and full clinical assessment and treatment planning. Further information is listed in our Terms and Conditions. 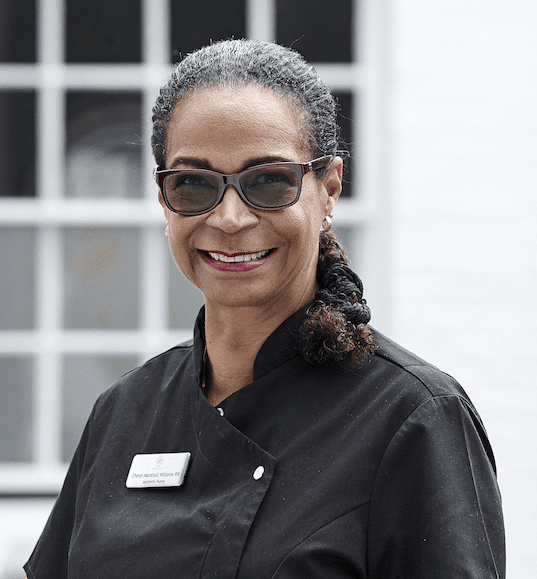 “My philosophy has always been to develop a true rapport and relationship with my patients, so I can give them a holistic and personalised experience. It’s important for me to assess the medical side of your skincare needs, and to also understand the emotional and psychological reasons behind your decisions.